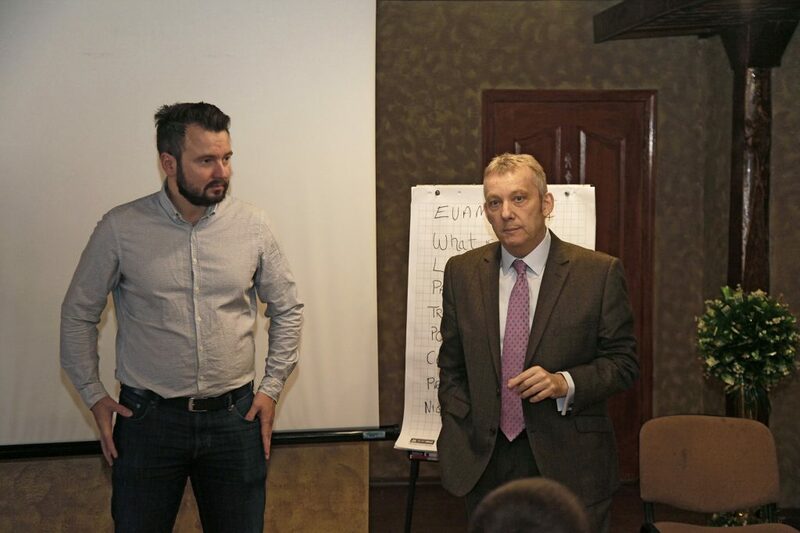 A workshop organised by the EU Advisory Mission Ukraine (EUAM) and National Police of Ukraine brought together representatives of law enforcement bodies, non-governmental organisations, local businesses and local government in Khmelnytskyi last week. The aim of the event was to help build stronger, lasting partnerships between the police and the community they serve. The ultimate aim is for the police in Khmelnytskyi to set up community action groups that regularly bring together police officers and members of the community and have defined tasks. At the workshop, community representatives highlighted theft, illegal street trading and illegal dumping of waste as issues that could be better dealt with via concerted cooperation between law enforcement and the community.